The best way to get to know a community is by scheduling a tour. See the facilities, meet the staff and residents, and get a feel first hand what it's like to live at Silverado Southlake Memory Care Community Memory Care. When residents arrive at Silverado Southlake Memory Care Community, they are immediately struck by the openness and natural light found throughout the community, along with the inviting courtyards and walking paths outside. These features contribute directly to promoting the well-being of our residents because they retain their sense of independence within a secure setting. 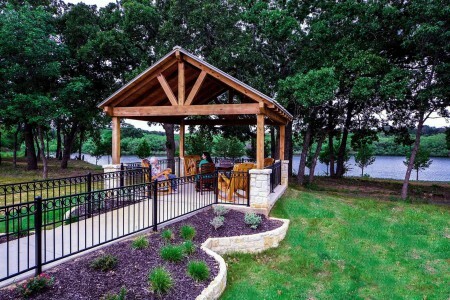 We designed our community for the resident and the resident's family in mind; there is a scenic natural area where residents can relax and watch the river, visiting hours aren't limited and meals are free for visiting family. In the community dining room, nutritious dishes are served, and snacks are available throughout the day. Every day, our residents can participate in enrichment activities that boost confidence and offer opportunities for growth and creativity. We also offer regular outings to local areas of interest and restaurants. Outside in our secured courtyard, residents are found strolling along the walking path, golfing on the putting green or tending to the raised planters filled with flowers. At Silverado Southlake Memory Care Center we offer cozy studio apartments, and families can choose from a private or companion option to meet their loved one's needs. Along with personal keepsakes that will turn the room into their new home, residents may also bring their beloved pet to further make their apartment even homier. A memory box filled with keepsakes is outside each room to serve as a memory cue. To fully provide for the unique health care needs of seniors with memory loss, we have a highly skilled staff specialized in Alzheimer's and dementia care. Licensed nurses are on site 24 hours a day, and oversight is provided by a physician medical director. We also perform initial and ongoing assessments of each resident's cognitive and functional abilities to ensure we continually deliver the care needed. Providing the highest quality of life possible for seniors with Alzheimer's and dementia is our promise here at Silverado Southlake Memory Care Center.